Jedi Temple Archives and Jedi News are teaming up to give away exclusive Celebration Chicago Brew Master Drink Coasters. 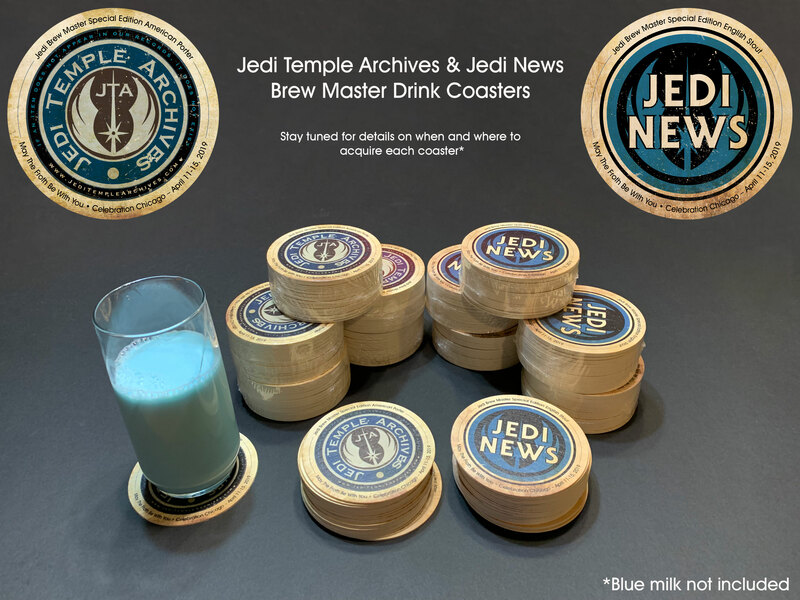 These pub-style coasters will be limited and only available this week at Star Wars Celebration Chicago. Check back tomorrow for our full giveaway schedule to see how you can pick these up, as well as other SWAG from both sites. We will be doing coordinated giveaways, so you can pick up your SWAG from both sites at the same time. May the Froth Be With You!